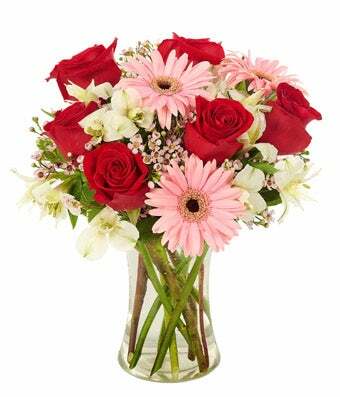 Romance your sweetheart with this bouquet full of roses, gerberas and more! Hand-arranged and delivered by a local florist, your recipient will be thrilled to get something so beautiful straight to her doorsteps! Approximate arrangement Height 12.5", Length 11"